The decision to hire a wedding planner is one of the first decisions a bride-to-be will make. 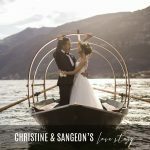 I myself wish I had the opportunity of working with a wedding planner for guidance when planning my own destination wedding on Lake Como but unfortunately there wasn’t one that could offer me the personal and attentive service that I was looking for. I ended up planning my own wedding, but now as I look back on the year that I spent getting ready for my big day, I can’t help but recall the deflation from the many obstacles that I came up against, and the to often feeling of utter exhausted from the many sleepless nights. 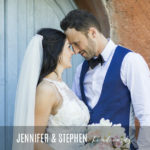 Now with experience and knowledge from both sides of the destination wedding planning ‘to do’ list I wanted to put together some advice, guidance and importantly the answers to the questions that I struggled to find when planning my own destination wedding in Italy. SO WHAT EXACTLY DOES A WEDDING PLANNER DO. A wedding planner will offer initial guidance, oversee the logistical elements of hosting a wedding and make the entire process manageable for the bride and groom by breaking everything down into easy to follow stages. I spend a lot of time getting to know each and every client so that I fully understand their vision, which in tern enables me to suggest venues and vendors which will work specifically well for them. I research and meet with vendors, read contracts carefully and handle any negotiations. I do everything in my power to make sure everything runs smoothly and effortlessly during the planning stages, and on the wedding day. There are several styles of wedding planning which will determine exactly what that planner will do for you. Full planning, Partial planning and Day of planning. Full planning is the most popular and generally means that your wedding planner will be involved in everything from securing the venue to overseeing the coordination on the wedding day, usually over a one year period. Partial planning is for those that have maybe already secured their venue and some wedding day services such as their photographer etc but require help sourcing more services and coordinating the wedding day. Day of planning is generally used by those that require only coordination on the wedding day, however I personally feel that for a wedding to run smoothly a planner should be involved from the very start. I only offer full wedding planning for this reason, yet I am always available to offer free advice to those that require something slightly different. HOW MUCH DOES IT TYPICALLY COST TO HIRE A WEDDING PLANNER. Location, experience and recognition can determine the price of your wedding planner fees. I offer a fixed wedding planning fee based on those three things. I feel that it is important to have a fixed fee so that my clients know exactly where they are financially right from the very beginning. Some wedding planning agencies will charge an initial deposit and then a final payment based on a percentage of the overall wedding costs. It is important then to make sure right from the initial contact that you are fully aware of the service being offered. I offer a very limited amount of wedding places each year, and even limit the amount of weddings within each week so that I am able to completely dedicate myself to each and every client on a very personal level. 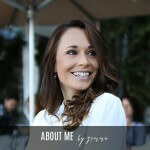 My price reflects my recognised distinctive wedding style and a very personal wedding planning experience. Many other wedding planners will have different styles and experience of wedding planning and their prices will reflect that. WHAT ARE THE ADVANTAGES OF HIRING A WEDDING PLANNER. A wedding planner will save time, energy, stress and even money. The fee that a planner charges may initially seem expensive but the advice, guidance, help and security that you receive will be well worth it in the long term. A wedding planner will know how to save small costs here and there and its these small savings that soon add up leaving room in a budget to spend on the more lavish items. A wedding planner will also make sure every part of the wedding day has been secured properly, and would have done many checks in the lead up to the wedding ensuring everything runs effortlessly on the day. WHAT SHOULD SOMEONE LOOK FOR WHEN HIRING A WEDDING PLANNER. Experience, recognition and personality are hugely important when initially looking for that perfect wedding planner. It is also important that you have an initial bond with your planner, and feel completely comfortable opening up and expressing your visions and dreams with them, however soppy they may be. You will be spending a lot of time with your planner over the wedding planning journey and there will definitely be times where you will want to turn to them for advice and sometimes even emotional support. You can tell a lot about a wedding planner, and the way they will continue to work for you in the future simply by the initial contact. They should understand that your wedding day is the most important thing going on in your lives right now and should want to listen carefully and only encourage your visions and dreams. Trust your natural instincts, you will know if you instantly connect with that particular person or not. Don’t be afraid to request a visual Skype session with them at the beginning as there is no better way to put a face to a name. I offer all of my enquiring client’s the opportunity of a discovery session via Skype and find that this instantly creates a relaxed and safe environment for them. I would also definitely consider choosing a planner with experience and who can provide recent reviews, recognition and references. Don’t be afraid to ask to see these, or to ask if you can contact one of their previous clients. Hiring a wedding planner is a huge commitment and they will understand this and should willingly provide this for you. 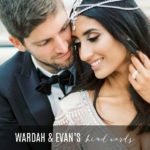 Another piece of advice would be to ask them how many weddings they plan and coordinate in any one wedding season, it is important that your planner can dedicate sufficient time for you. I only allow availability for twenty weddings during each wedding season, and would not usually do anymore than one wedding per week for this exact reason. IS IT IMPORTANT TO HAVE A BUDGET IN MIND BEFORE CONTACTING A WEDDING PLANNER. By providing your wedding budget during your initial contact the planner will be able to suggest only the venues and vendors that will work well within your budget amount, rather than simply sending you proposals for every wedding venue they offer. I like my clients to provide a realistic budget simply so that I can instantly figure out what is possible and what is not. For example, If someone comes to me with a small budget yet has a huge guest list and wants to experience the most lavish wedding then I can instantly inform them that they may need to either rework their budget amount or rethink their wedding style. A planner should be able to provide at least some estimated costs at the time of enquiry, and create some form of personalised proposal so the client can see exactly where they stand financially. It is in my interest as a wedding planner to try and create that dream wedding day but we have to also be realistic. It’s well documented that Italy remains the No. 1 destination wedding location, and Lake Como in my eyes is the most special location within Italy. Some of the main reasons why is the remarkable food and wine, beautiful private villa venues, incredible unspoilt scenery, and even just getting there can feel like a romantic adventure. Once you land in Milan, you get on a train, you get on a boat, and then you’re taken out to what feels like the middle of nowhere, where it can feel like it’s just you, your family and your closest friends. WHAT IS THE FIRST THING SOMEONE SHOULD DO WHEN CONSIDERING A WEDDING IN ITALY. To save both time and energy I would recommend speaking with a professional from the offset. There is a lot if information on line these days but reading pages and pages of information and looking at too many forum sites will soon become boring and may even cause more confusion than good. You may also want to also ask yourself is the information on line up to date an even correct. A wedding planner will be able to give you all of the information and advice that you need, specific to your requirements and right from the very start, eliminating any unwanted stress and strains. Using a wedding planner whom is a specialist in a particular location will definitely save you time and even any expensive mistakes. WHEN SHOULD SOMEONE START PLANNING A WEDDING IN ITALY. As soon as possible is the easy answer to this one. It is never too early to reach out and start discussing your wedding visions with a wedding planner. They will be able to advise you on the exact time to officially secure the most important aspects of the wedding, to avoid any availability disappointment later on. If you are too early then they will simply tell you, and recommend when to start. I personally recommend securing my wedding planning service and the wedding venue(s) around 12 – 18 months prior to the proposed wedding date. 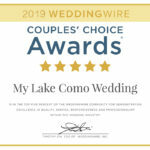 I offer a very limited number of wedding places during each year so my availability understandably disappears very quickly, as does the availability for the popular and sort after wedding venues here on Lake Como. Sometimes a wedding planner will have the ability to option a date at a venue before they officially release their calendars to the public. Due to the close relationships I have with my venues and vendors I am able to do this, and can option dates well in advance of the public release dates, ensuring my clients have their preferred wedding date. CAN ANYONE GET MARRIED IN ITALY. Yes absolutely, however the process can be very different for each individual case so providing as much clear information at the beginning will save a lot of time and questions later on. I have provided Civil, Catholic, Symbolic and many other religious ceremonies here on Lake Como. 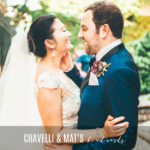 This particular area of Italy is quickly becoming recognised as one of the most desired destination wedding locations worldwide and therefore I am taking requests all the time for ceremony styles that I may not already be accustomed to. I take this only as an exciting challenge and have always been able to accommodate any ceremony requests. Some venues can only accommodate certain types of ceremony so it is worth checking with a wedding planner which venues are available for a particular wedding ceremony type. 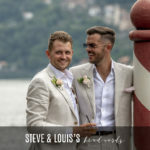 My Lake Como wedding planning website actually lists which ceremony style’s are available at each of the venues that I offer, making it clear from the very beginning which venues are available. IS A TRANSLATOR LEGALLY REQUIRED. A translator is a legal requirement for anyone wanting an official and legally recognised ceremony that does not speak Italian. The translator is required to be present at the wedding ceremony and also at a declaration appointment performed at the local Town Hall prior to the wedding day. IS THERE ARE SPECIFIC AMOUNT OF TIME THAT SOMEONE NEEDS TO BE IN ITALY PRIOR TO THE WEDDING DAY. This can depend on each individual case. Only official and legally recognised wedding ceremonies may require the couple to be in the country for an allocated amount of time prior to the wedding day. This is to declare the intent to marry. The exact time scale can depend on several factors, including the country of residence of the couple at the time of the wedding. Your wedding planner will completely understand that the processes may initially seem confusing and overwhelming and should be there to support you through the entire process. I allocate a lot of time at the early stages of enquiry and build clear understandings of what each client is requiring, and provide clear information to ensure my clients know exactly what is expected from them. IS THE LEGAL MARRIAGE CERTIFICATE RECOGNISED WORLDWIDE. Marriage certificates are only presented to those that have had an official and legally recognised wedding ceremony. The Town Hall official present at the wedding ceremony will provide a marriage certificates to take away on the day. The Town Hall provide a spare copy should the original get misplaced at a later date. These certificates are legally recognised world wide. 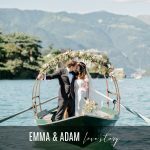 WHAT IS THE BEST TIME OF YEAR TO GET MARRIED ON LAKE COMO. The wedding season runs from April to mid October. Due to Lake Como’s micro climate the weather during this time is generally lovely, bright and warm, with temperatures reaching the mid to late 20’s. The warmest months are July and August where the temperatures can reach mid 30’s. Due to Lake Como’s location in northern Italy, close to the Swiss Alps, there is always a nice cooling breeze that makes even the highest of temperatures feel perfectly comfortable. WHAT IS THE DIFFERENCE BETWEEN A CIVIL AND SYMBOLIC CEREMONY. A civil wedding is an official binding ceremony and requires a particular legal paperwork process depending on the particulars and circumstances of each individual. A symbolic ceremony is not an officially binding ceremony and is also known as a blessing or renewal of vows. There are not any legal paperwork processes attached to a Symbolic ceremony and for this reason it is a very popular choice of ceremony. A Symbolic ceremony is perfect for those that are already officially married and want to simply renew their vows in marriage, or for couples that may not be able to arrive in Italy for the required amount of time to complete a legal paperwork process in time. IS IT NECESSARY TO VISIT A WEDDING VENUE PRIOR TO BOOKING. If you have the opportunity of visiting the area to view your preferred wedding venue(s) prior to making a booking then I would highly recommend it. There is nothing quite like seeing what could potentially be your future wedding venue up close and personal. A visit is also great If you have a list of potential venues and are struggling to choose between them. It is understandable that not everyone will be able to visit the area prior to the wedding day, especially for those traveling from afar. Your wedding planner should realise this and have lots of clear information and images to hand to send out to eliminated the need for a visit. Clear images of every venue on offer should be available and if not then they should be willing to do a site visit on your behalf and collate information and take particular pictures for you. I had a request for a particular part of one of my venues recently, which I didn’t have images for, so I travelled to the venue and arranged a Skype feed, live from the venue to the comfort of their home in the US. I also offer a wedding venue tour service where people can arrange to come and meet with me on the lake and I will personally take them to each of their preferred wedding venue and show them exactly what is available at each of them. 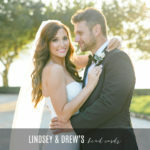 If you are planning on visiting an area and haven’t yet been in contact with a wedding planner then I would really recommending seeing which agency offers this tour service. Having a wedding professional with you during your visit will be so beneficial to you, and you will leave the area confident in how to move forward. WHO WILL BE MY WEDDING PLANNER AND COORDINATOR ON THE DAY OF THE WEDDING. This is a good question, and understandably you would like to think that the wedding planner that you have been dealing with over your wedding planning journey would also be there to oversea and coordinate the wedding day. This is something that you should check with your wedding planner during the early stages of planning as many wedding planners work very definitely. I personally always oversea and coordinate every one of my clients weddings. 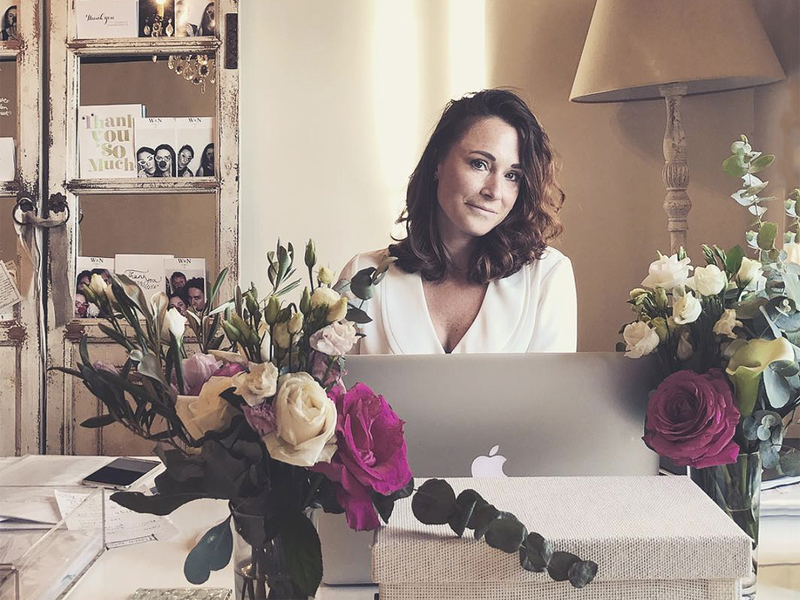 I feel this is important as I would have built up an incredible relationship with my client over the planning journey and would know absolutely everything there is to know about the specific services that have been secured for their wedding day. My clients can also relax knowing that myself, a trained and experienced professional, will be there to ensure everything runs smoothly and exactly yo plan. It is also really nice for me to be there on the wedding day and see the couple that I now know so well enjoying the incredible wedding day that is unfolding in front of them. If I feel it is necessary then I may also introduce another coordinator on the wedding day, but anyone due to be present on the wedding day will be fully briefed on the wedding day details and join me on the pre wedding day meetings and introduced to the clients. Please let me know if you have any questions about wanting to experience a Lake Como wedding in the comments section below. I will then reply to you directly with the answer, and also document it here so that everyone else can learn from your very own wedding planning experience.